It is no secret that we don’t think much of carbon trading here in the USA. Witness the fact that the much ballyhooed Chicago Climate Exchange has closed up trading for good after the spot price for carbon fell to a nickel per ton. They couldn’t give it away. At that price, had they issued them, the fancy carbon credit certificate paper would be worth more than the carbon itself. I’d actually like to get my hands on those, because they’d sell better on Ebay as novelties and earn a better price. The European commission’s emergency suspension last week of trading in carbon allowances to put a halt to rampant theft of credits by hackers has been extended indefinitely until countries can prove their systems are protected from further fraud. Hmmm…”further fraud”… isn’t that an oxymoron when it comes to describing carbon trading? Now if somebody can just talk some sense into California. What do you call taking the keys away from a Prius driver? Now if we could only stop and prosecute the massive fraud that has and is being perpetrated in our shadow banking system, we might really be making progress. 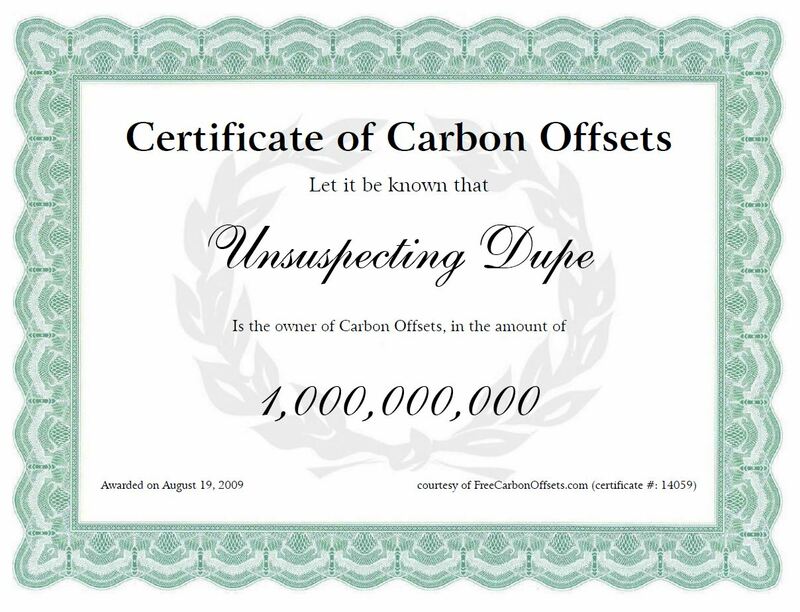 Funny thing, little over a year ago I asked my stockbroker about buying some carbon credits on the CCX, because I figured A. they might possibly go up (I know, I know) and B. the certificates would make great gag gifts. He just looked at me like I was crazy. Now I really wish I had!! The product being exchanged is non-existent. Basically a purchase of privileges to produce balanced against a promise not to. One could hardly imagine a more ridiculous market. It could never occur in the real world. Tulips and credit swaps seem a safer and saner bet. This is government idiocy at its very best. Supported by all those brilliant folks that brought about the financial market collapse. Dunno about California, but I’ve sure as hell given up on New Jersey. Despite having recently siphoned about $65 million as general-purpose revenues from the funds set aside under participation in the Regional Greenhouse Gas Initiative (RGGI), our professional “pay-to-play” parasites in Trenton refuse to withdraw from this predatory scheme of carbon-trading fraudulence. CA will have to learn the hard way I fear. Here in the UK, in the dying days of the Labour administation, the Indian owners of Redcar steelworks closed it (‘mothballed’ it, according to the government’s slippery Business Minister, Lord Mandleson) – so that they could move production to IUndia. Result – mass unemployment in that area – and bucketloads of carbon credits for closing down a plant in the ‘polluting’ west, and moving it to an area where the pollution ‘base’ is much lower. Having lived almost a year in Marin County, and three years in Orange County CA, I’d like to beg to differ regarding the generalized statement about CA. Marin County was filled with of the most sanctimonious, self-righteous people it’s ever been my displeasure to meet. Orange County was libertarian, thoughtful and, yes, very laid-back. One wouldn’t know they were in the same state. Guess where the most skepticism regarding “Global Warming” exists. Tourists in Florida can buy novelty cans of “Florida Sunshine” and at Niagara Falls you can buy empty bottles of “dehydrated Niagara Falls Water” so it seems to make sense that we can buy pieces of paper that are credits for breathing. The wonderful, wonderful, ongoing opportunities that false markets present! Carbon trading has been an absolute boon to the profit takers, be they legal or illegal, and they cannot wait for the first piece of “rationing” legislation! It will be their nirvana. Never mind CRC! Not sure how to talk sense to a group that seems to strongly believe that there is a free lunch and wants everyone to share it. Moves are afoot to squelch the California cap & trade before it begins in 2012. Came up from Oakland town. Who had good jobs all around. And a good big house therein? And a wealthy local dame. “Not now,” the priestess said. The couple turned and fled. And he came back with a steer. “Hell no,” the priest did say. With a blast you couldn’t beat. ‘Til they passed out on their feet. They said “These freaks must go. But first we’ll warn them fair. Sent a message to the town. But they never came back again. And a mudslide thundered down. Was all that anyone found. It has no neighbors any more. Where the coven dances still. When soppy, gauche liberals – (who ‘want to save the planet’ any price including going back to the Stone Age) – construct a global warming scenario with carbon trading and philanthropy at its centre, wouldn’t you just know that they and we would be just robbed blind. Ref: oxymoron. an oxymoron is a figure of speech that contains apparently contradictory terms in conjunction, eg, “left-wing intellectual” or ,”socialist democracy”. “Further fraud”, doesn’t seem to meet the criteria, as “further”, is complementary to,” fraud”, and is not contradicting the meaning of,”fraud”. This was scandalous and made possible by a gullible government. I worked in ‘pollution free India’ who demanded from my company a smelter with ultra low emissions. Within five years of commissioning a state of the industry plant the Indians had turned it into the most polluting plant on earth. Your examples of oxymorons have made this other grumpy old man considerably less grumpy- many thanks. The question I have, and maybe you all can help to answer it, is how much money did the CCX bilk out of “investors” before they shut the doors? The same question could be asked about the EU Carbon fraudsters. How much was the haul? New Jersey joined a handful of other corrupt NE States in the carbon scheme several years ago when we had a socialist Governor that virtually bankrupt and ruined the state. Our new governor is taking extreme measures to address our budget shortfall, end the excessive wasteful spending of a welfare state, and get us out from under 8 years of irresponsible spending. I wonder if the NJ Governor can legally get out of the carbon purchase mechanism without refunding all the “loot” extorted” from business over the last several years. Looks like a catch 22 since the money has already been squandered on generous subsidies for solar panels, etc. I think he has already curtailed the generous subsidies for solar panels. More proof (if we needed it) that P.T.Barnum Lives! How could there be problem with Carbon Trading when it will Save the Planet? No, an oxymoron is when two opposite words come together to describe something. The common examples are ‘jumbo shrimp’ and ‘military intelligence’. In this particular case, you have a tautology where the words used are needlessly repetitive. Examples of a tautology include “fruity banana”, “software program”, and “fair-haired blonde”. Once the EU decided to launch a carbon trading program, it became unnecessary to further describe it as a fraud. You have to admire the way these international crooks blamed hackers for their own theft of $trillions. If it was $trillions — I haven’t seen any reputable audit. Suffice it to say, they made Madoff look like small potatoes. Climate negotiators will stage an extra round of talks this year as they attempt to thrash out a deal to replace the expiring Kyoto Protocol. Looks like the gang is going to squeeze another vacation out of things before the gravy train slows down too much. Examples of a tautology include “fruity banana”, “software program”, and “fair-haired blonde”. True enough. I have always been curious as to the classification of phrases like, “true facts”, 0r “true freshman”, and “live nudes”. Interesting w0rld out there. “Rich millionaire” and its like are also known as pleonasms. Re the UN ‘summit’ in Bangkok – when are people going to realise the UN is just a corrupt organization of corrupt people, and stop funding it? The USA should have pulled the pin years ago. Why keep funding an organisation that treats the US with contempt? Very weird wording in that EU carbon market paragraph; almost seems like the problem was too much ‘visible’ fraud going on. Now without an official market, will all this carbon trading go underground in some form of ‘carbon black market’..
Psst! Anyone one want a slightly used carbon credit?? Ah! So the little boy was right all along! The King really is bollock naked! How about: The department of redundancy department. So individual people did not get duped, but the Government did and our taxpayer monies will over the next few years. And the people who got out mostly made nice money…its been awhile since I finished the research on that, so the details are really fuzzy and what not, but that was the general idea at the end. All of it is of course legal with our current system…but shrug, what can individuals do who do not have political connections nowadays? What I find rather objectionable, and that you have not picked up on / pointed out, is that the market is closed due to “hackers”. As though this is the fault of some bunch of evil pen-clicking Boris’s (See James Bond, Goldeneye). What’s actually going on is that a bunch of criminals and clever conniving theives have figured out that this is a silly market ripe for scamming. Strange that, seeing as verification is kinda hard. It’s not shut down because of hackers, its shut down because of fraud. The EU should stop trying to muddy the water. But then, ClimageGate was due to “hackers” too. Cultures that don’t learn their own history keep making the same mistakes. Does the term ‘South Sea Bubble’ ring any bells? The South Sea Company was a British joint stock company founded in 1711 to take over three-fifths of the British national debt financed from the profits of future trading with South Sea Islands and Spanish South America. In 1720 the company proposed that it should assume ALL of the British national debt, most of which had been incurred in the war against Spain. Th3ew company offered its own stock in exchange for government bonds and expected to make huge profits on these transactions, which epitomise the worst of insider trading. The publicity led to the trading frenzy being termed the ‘South Sea Bubble’, which burst in Sept. 1720. A similar ‘bubble’, John Law’s Mississippi Scheme, failed in France at the same time. As a consequence of these and other ‘bubbles’ bursting, all joint-stock arrangements, banks failed, thousands were ruined, fraud was exposed in the South Sea Company and corruption exposed in the British parliamentary cabinet. Joint-stock companies, which allowed buyers to purchase stock on credit then sell again for cash when prices rose, were made illegal by an act of parliament.. The South Sea Comwpany’s directors had their estates confiscated and sold, the proceeds used to relieve the suffering creditors, among them Sir Isaac Newton, understandably annoyed at his own foolishness in losing twenty thousand pounds, the current equivalent of about 3 million pounds. The Company was restructured, it’s stock divided between the Bank of England and the East India Company and acts of parliament to stabilise the British economy were driven through under the guidance of newly-appointed First Lord of the Treasury Robert Walpole. The company continued to trade for more than a century, involving itself in the slave trade, whaling in Greenland waters and other activities, but not with much success. This inglorious epidode in history has been termed ‘the 18th Century Enron’. Why do governments and citizens never learn from history that there is no such thing as a free lunch? re: “CA will have to learn the hard way” – I live in a socialist country – Canada. CA will not learn the hard way – CA will be rewarded for their liberal nonsense and bailed out by the rest of the U.S. taxpayers – who will have no input or choice in the matter – the socialist way. Fair enough then MKelly, how about “Military Music”? What was the carbon footprint from start to finish of the CCX? EU and Chicago CX shut down…..
Where do I go to buy my carbon credits? 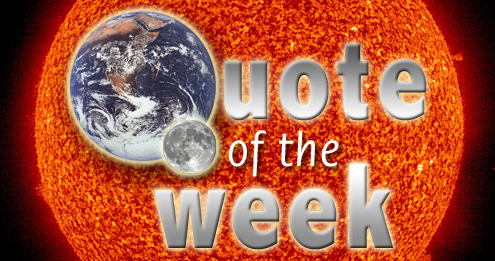 Mike Restin wants to know “Where do I go to buy my carbon credits?. Fear not. The exchanges in Chicago and in the European Union may have shut down, but there’s a guy I know in Brooklyn who can sell you carbon credits and ownership shares in one of the classic pieces of suspension bridge architecture presently extant. Go here. Leave money. Amounts in multiples of US$10. are preferable. Go here. Fill out the info, receive your certificate. 1000 offsets per $10, unless you feel you deserve more as a conscientious person who voluntarily decided to buy offsets without being forced to do so. In that case you qualify for a 1% bonus. 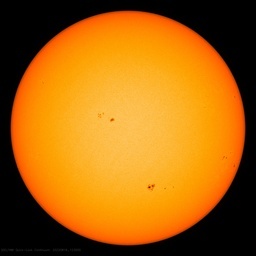 And be assured you have done far more than most to combat the causes of (C)AGW! Right now, as part of this special internet offer, you can double your offsets for the same money. Just complete the first transaction within 27 minutes of reading this important message, and you will receive 2000 offsets per $10, not to be combined with other offers. Just pay separate shipping and handling. I b’lieve a recent study of bubbles and markets concluded that they are intrinsic, part of the way people do business. Enthusiasms and greed create bubbles, little and large, and no regulations or controls can stop that without actually eliminating the markets.